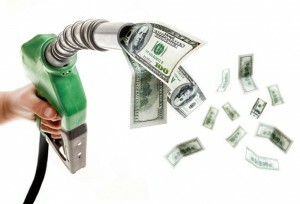 The primary reason most consumers would consider an AFV is to save on fuel costs. A recent alternative fuel vehicles (AFVs) tracking study, conducted by the NACS (National Association of Convenience Stores), which examined U.S. consumer preferences in relation to vehicles powered by alternative fuel sources, has found that consumers are not as likely to considered switching to AFVs when the price of gas is lower. Since April, consumer interest in green vehicles has fallen. According to the NACS survey, 80 percent of participants who considered purchasing an AFV said that the main reason they would do so would be to save money on gas. Therefore, what the survey found was that as the cost of fuel began to decrease, so did the interest consumers had in making the switch to green cars. The survey found that for every 10 cent drop in fuel prices, there was a 1 percent reduction in the percentage of consumers thinking about buying alternative cars. For instance, 78 percent would consider an AFV if gas was $5 a gallon, but only 68 percent would make this same consideration if gas were $4, and an even lower 56 percent would make the switch if gas were $3. Since April 2014, when the cost of fuel was 90 cents per gallon more than current prices, consumer interest in clean vehicles has taken a dive. The alternative fuel vehicle that lost the most interest was all-electric vehicles. Compared to 55 percent of consumers having interest in these vehicles in April, now only 34 percent would consider these EVs. Other factors aside from high fuel costs may provide consumers incentive to change to alternative fuel vehicles. While the survey results are not necessarily good news for the alternative vehicles industry, the study did learn that there were other reasons beyond gas prices that would encourage some consumers to go green. • 51 percent of consumers said they would consider these vehicles to help protect the environment. • 45 percent would choose them to lower America’s dependence on foreign oil. • 42 percent were interested in decreasing their carbon footprint. • 41 percent would consider it to boost their driving range. In addition, the survey also learned that consumers who were over the age of 50 were more likely to consider purchasing alternative fuel vehicles to lower the country’s dependence on foreign oil, while younger consumer, those between the ages of 18 – 34, were more interested in considering these vehicles based on how they fit their lifestyle.